I was recently gifted a one year membership to Marvel Unlimited so I decided to use this opportunity to read some of the series that I’ve wanted to read for awhile now. I started with two very different series. Ultimate Captain America which I had heard a lot of good reviews for, and Fear Itself: The Deep which I had heard nothing about but I was always intrigued by. I have always really liked the idea of the Ultimate Universe as a way for writers to get the chance to take classic Marvel characters and reinvent them for a new generation. Plus it seems like Marvel has done a great job at putting together some great creative teams on the books for the most part. 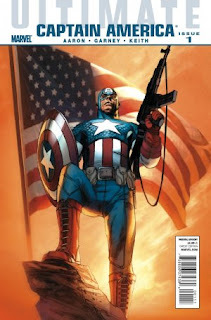 And for Captain America they didn’t hold back bringing on Jason Aaron and Ron Garney. The story focus’ on Cap being sent into North Korea after there are reports of their army working on their own Super Soldier program. But during the mission Rogers is attacked by a masked man who can hold his own against him in combat. A man who is revealed to be a dark secret for the American government. The confrontation leaves Cap badly beaten and recovering in a French hospital. When he wakes up he is informed that the man that he had fought was Frank Simpson, a dedicated American soldier who was part of an attempt to recreate the super soldier experiment during Vietnam. But unlike Rogers Simpson was driven crazy by the serum they had used and disappeared while deep behind enemy lines. Rogers is angered by the news and goes rogue to track down and put an end to Simpson. Aaron brings his usual gritty nature to this version of Captain America, and tells a story with very deep shades of grey at it’s core. It becomes very clear that Aaron wanted to send the message that in war there is no such thing as black and white by showing how an American soldier was slowly pushed over the edge by the environment and situations he was forced to experience. And combined with the art of Ron Garney which is probably some of the best I have seen from him for some time, this is a strong volume for a character that can easily be a little too goody two shoes and boring. I am probably one of the few people who wasn’t completely upset by the Fear Itself event that Marvel put out. But there were several tie-ins that I never got the chance to read. The Deep was one of those. 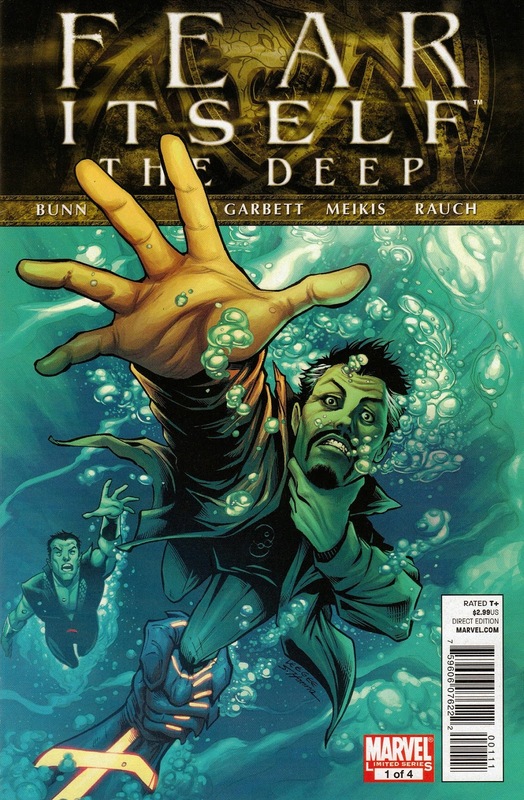 The Deep explains fills in the blanks of what happens in Atlantis when The Serpent’s hammers fell to earth and Attuma is possessed by the hammer of Nerkkod the Sea Breaker allowing him to finally beat Namor and takes over Atlantis. 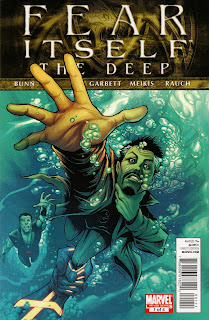 Only Namor and a young Atlantean girl named Loa manage to escape to contact Dr. Strange for help. Namor is extremely shaken by the fear that he faced while he was facing off against Attuma. So Strange puts out a spell to summon more allies to help in the battle. And before long his spell brings Lyra daughter of the Hulk. And Silver Surfer arrives from space with news of where the other hammers landed. bringing together a new incarnation of the Defenders. This was one of the best Marvel books that Cullen Bunn has worked on in my opinion. He has a good handle on the voices to the characters he is writing and crafted strong tie-in to an event that really gets overlooked for how mishandled it was. But like I said I actually liked it for what it was. A big summer blockbuster style story with lots of action and explosions. But with this mini Bunn brings a story heavy aspect to the event that only adds to the greater picture. And it is always great to see Lee Garbett on art. I have been a fan of his since he was part of Loki: Agent of Asgard even though tht book came out years later. I highly suggest Ultimate Captain America to anybody who hasn’t read it but with The Deep it is harder to recommend it to anybody that didn’t enjoy the main Fear Itself event.